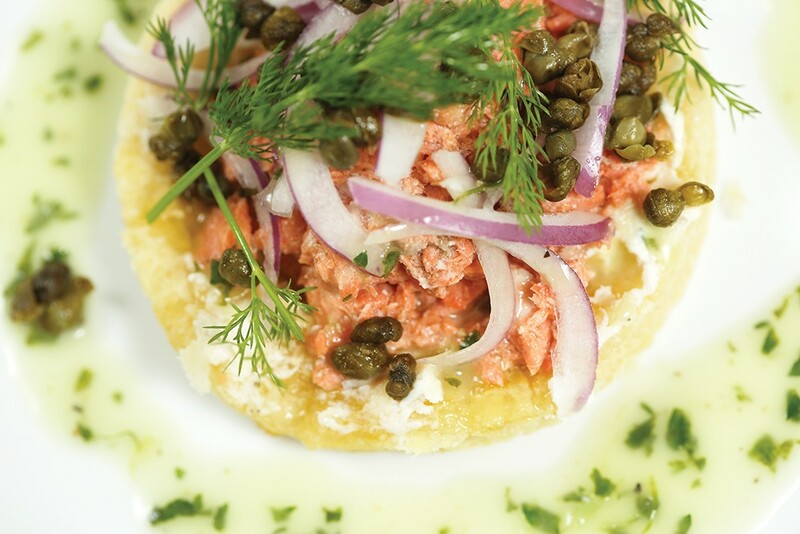 This smoked salmon tart is one of the items Ambrosia Bistro and Wine Bar will be offering during Inlander Restaurant Week. This year marks the seventh annual winter celebration of the region's continually evolving and improving culinary scene. For 2019, Inlander Restaurant Week returns with more than 100 local restaurants offering special three-course, fixed-price menus for $21 or $31 per person. Many diners use the 10-day event to return to celebrated local favorites or explore new-to-them eateries across the Spokane and North Idaho. This trend is a win for restaurants, too, whose culinary teams are able to showcase a mix of house classics and new dishes to a broad customer demographic. This creative menu building is a focus at Ambrosia Bistro and Wine Bar in Spokane Valley. Owner Scott Cook says Ambrosia gets an influx of new customers from across the region during Restaurant Week who might otherwise not make the trip to Spokane Valley. "We aren't necessarily a lot busier, but it's different people than we normally get," Cook says. "We have a lot of regulars because we've been there for 12 years, and we really are a neighborhood restaurant." Start planning your Restaurant Week itinerary now using the printed event guide (inserted in the Feb. 21 issue of the Inlander and available at local STCU branches) or online, and don't forget to make reservations.